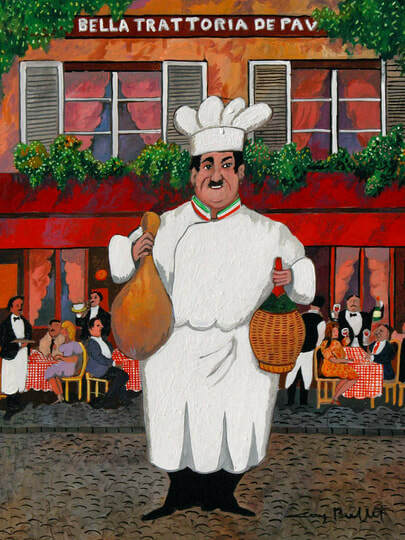 Guy Buffet was born in Paris on January 13, 1943. His parents were involved in the restaurant business and enjoyed art. Guy learned that his neighborhood had once been the home of such famous artists as Picasso, Matisse and Chagall. “At home there was always conversation about these artists”, he says, “and I used to listen to the conversations while doing my homework at the kitchen table. I remember drawing on napkins and the linen tablecloths while my brothers were busy with kitchen preparations”. On Guy’s 12th birthday, his mother gave him his first box of paints along with needed supplies such as canvas, brushes and a wooden easel. The young Buffet was soon displaying paintings on the walls of the family restaurant. He sold his first watercolor painting to an American who was visiting the restaurant and this is where is all began. At the age of 14, Guy enrolled in the famed Beaux Arts de Toulon and later studied advanced painting in Paris. By age 18, he joined the French Navy where his artistic abilities were well recognized by the Navy as they named him their official artist. Guy was given the prestigious assignment to “paint the world”. 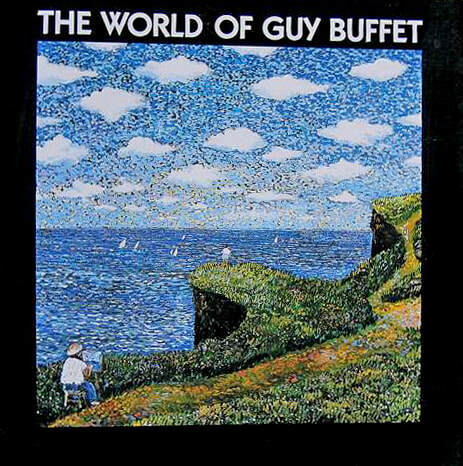 “In the South Pacific, while I was on shore leave and hitchhiking with some fellow sailors”, says Buffet, “we were picked up by a motorist who happened to be the mayor of the city. After visiting the ship and seeing some of my paintings, the mayor talked to the captain and got permission for me to put on an exhibit in town.” From this came a series of one-man exhibitions in exotic Tahiti and New Caledonia. Additionally, the French Navy helped organize his first exhibition in the Hawaiian Islands, introducing Buffet to what he calls “Paradise”. This was now 1963. Guy settled in Hawaii upon his discharge from the Navy, after the prominent Cooke family offered to provide him living and studio space on Molokai. What followed were several commissions from the Hawaii State Foundation on Culture and the Arts, which funded major murals at public places across the state of Hawaii. Guy has traveled the world over painting not only Hawaiian themes. He has derived from his French heritage, the whimsical sommeliers, chefs and waiters in hilarious character, consistently capturing the spirit of the French and their love of fine food and wine. 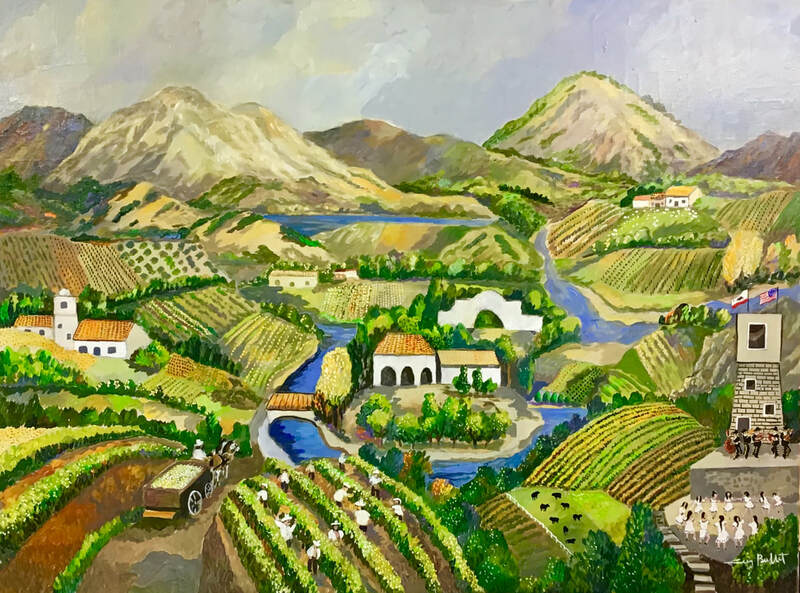 The Italian countryside, Amsterdam, China, Tahiti, India and other exotic locations have found their way onto the canvasses of Guy Buffet. Guy has an extremely active imagination and exposes his humor and wit in his work. Over the years Guy has been commissioned by many corporations, including Aloha Airlines, Grand Marnier, Inter-Continental Beachcomber French Polynesia and Westin Hotels, Champagne Perrier-Jouet, Williams Sonoma and Crystal and Paul Gauguin Cruise Lines. Guy regularly makes appearances at special events, shows and fundraisers. His work appears on myriad of products such as cups, plates, ties, clothing, wine labels and calendars.